Anderson Zaffre Indoor\Outdoor fabric. 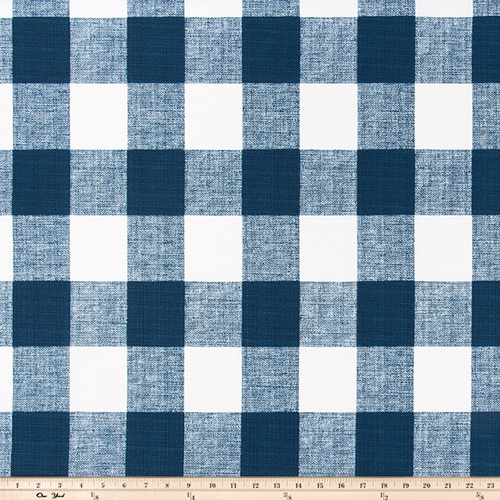 Dark blue and white large gingham buffalo check printed indoor\outdoor decorating fabric. Suitable for light upholstery, drapery, headboards, decorative pillow covers, crafting or other home decorating projects. Each check measures approximately 2.75" by 3"